Emilio, one of the bloggers on this site, uses a term I have come to employ when referencing certain films – Oscar bait. I don’t think he coined the term, but it is used in reference to those films that are really hoping for an Oscar. Those films are typically period-pieces, use actors with accents, and fall in the genre of drama. 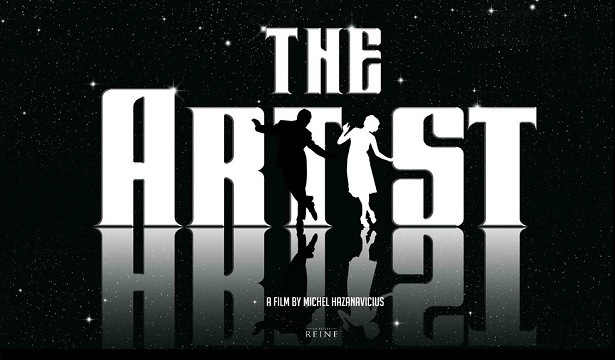 When I first saw the trailer for The Artist, Oscar bait came to mind. It appeared that the filmmakers were trying too hard on this film and Hollywood was surely going to take the bait. However, I did see the film and was impressed. I’m not saying that I’m the litmus test for Hollywood gold, I’m merely saying…I was impressed. And since the Oscars are just around the corner, I figured I would share some thoughts on it. The acting by Jean Dujardin was excellent! It really made me appreciate how precise the facial expressions of actors in silent films had to be. Their faces greatly assisted in telling the story. I’ve also appreciated directors who can tell a story by merely what is on-screen (Alfred Hitchcock was a master of this) and this film does that exceptionally well. The Artist also helped me appreciate where the craft of film has been taken. As the film begins, one has to settle into the idea of no dialogue…none. It is somewhat awkward, but intriguing. Although it was well-done, it does make movie-goers appreciate talkies. The story follows George Valentin (Dujardin), the star of silent films. However, with the genesis of talking pictures, he wonders if his career will soon be over. The movie follows his highly successful career and his struggle to stay on top even after the inception of this new style of filmmaking. One thing that struck me about this film was Valentin’s obsession with his image. The audience loved him and he enthusiastically agreed. Every time he would walk down the stairs to his house, he would pause at a near life-sized portrait of himself and admire it. It’s interesting to see that the one character who didn’t admire him was his wife. She is the first one we see who not only isn’t infatuated with him, but loathes him. Her body language and coldness communicate this, but she literally defaces his image on various magazines & newspapers. She often creates a George Valentin with mustache and glasses. She is the first character that really allows us to see this man’s idol worship. Of course, we can pick up on this in the opening scene, but she gives us some foreshadowing of what’s in store for Valentine. As we see from the film, Valentine is worshipped like a god, but since he’s a false god, this is short-lived. Talkies end up taking off and Valentine plummets into a life of poverty and shame. Embarrassment and depravity cling to this once glorious star. What is this communicating? It is open for interpretation, but just maybe Valentine has learned his lesson. He worshipped his image, which was silent. Now, however, he appears in a tap number, which has sound, and he’s been humbled. Has he let go of that old image? Is he embracing a new image of himself? Or will he worship the True God whose image we bear?